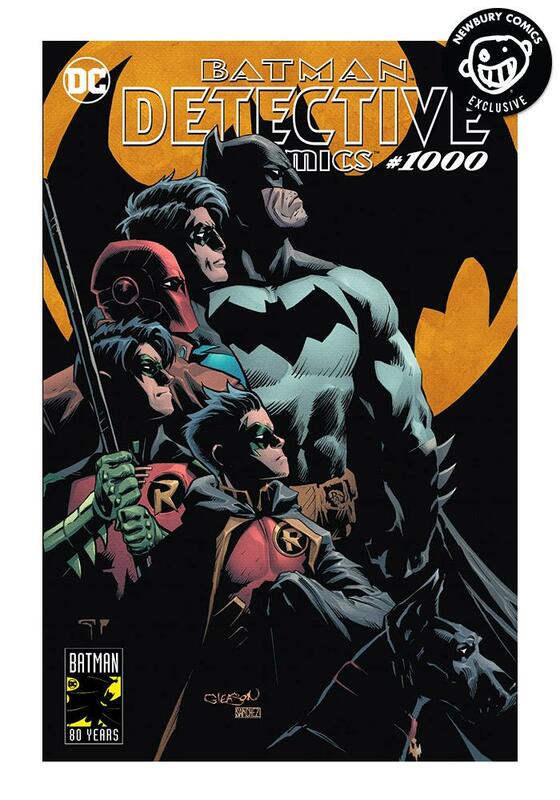 By Zack Quaintance — The release of Detective Comics #1000 is upon us (coming next Wednesday). It’s a landmark issue (obviously), and, as such, it gets the whole giant wave of variants treatment. There hasn’t been as much ballyhoo (that’s right ballyhoo) around this one as there was for Action Comics #1000 last year. I attribute that to a phenomenon called hey, didn’t we just do this? As well as to Superman being a less tragic and more celebratory figure in general. But I digress, we’re here to talk about variant covers! Specifically, we’re here to ogle our favorites from next week’s releases as well as share a few quick words about why we find the best Detective Comics #1000 variants so great, great enough to potentially drop an extra $9.99 (plus shipping on many cases) to add them to our collections alongside the standard cover (I clearly have OCD...at least about that). Brian Bolland is one of the best cover artists of all-time, with notable runs such as Geoff Johns’ The Flash. 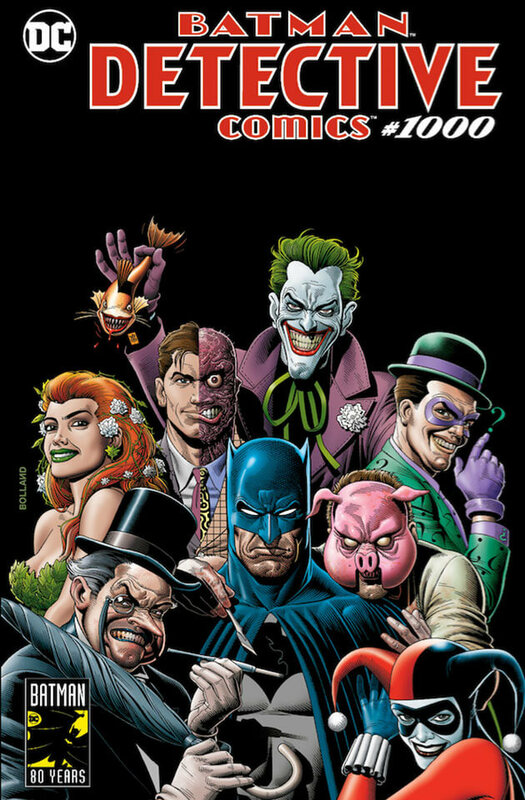 Here on this Detective Comics variant, Bolland leans into something that has made Batman one of the longest-tenured and most-popular characters in all of American fiction: his rogue’s gallery. Bolland renders them all in his clean and colorful style here, putting the nonplussed Dark Knight himself right at the center. Fantastic stuff. You can get it now through Forbidden Planet. 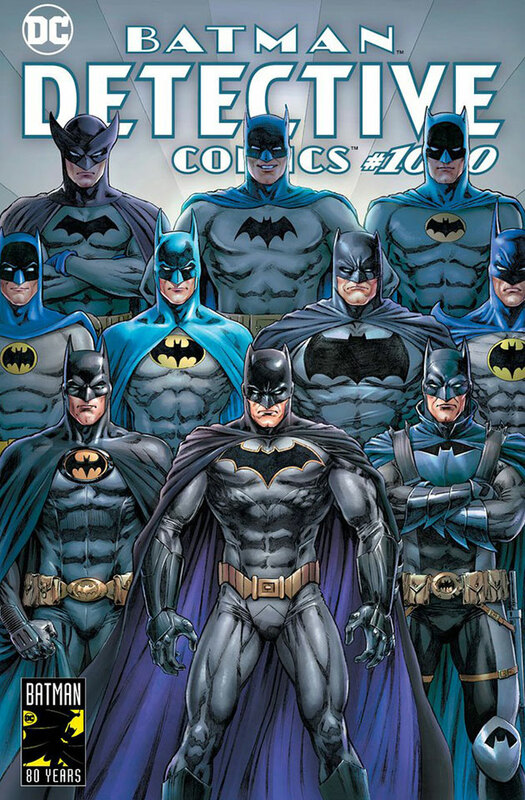 As with the Action Comics #1000 release, Detective Comics is getting a themed variant for each of its eight decades of life. 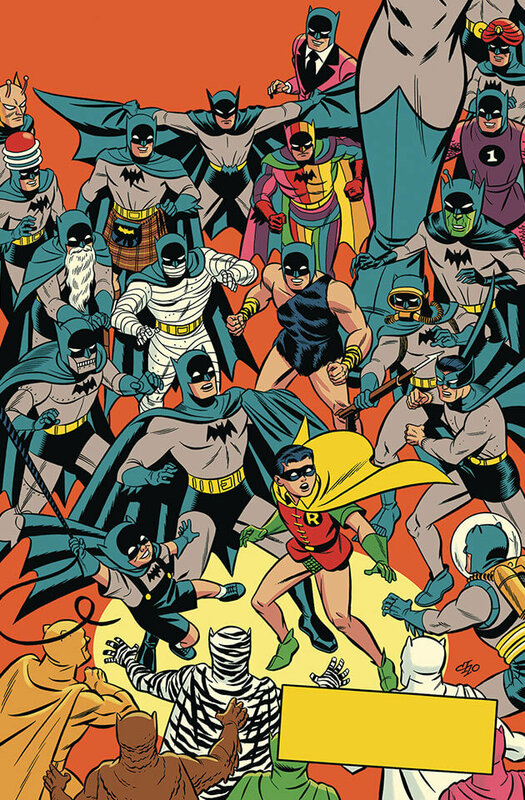 Our favorite of the bunch (and the only one to make this list) is Michael Cho’s 1950s cover, which embraces the way that decade (with its prurient anti comic book campaigning) forced creators to move away from violence and into wackiness. Cho captures it well. As noted at this time last year, Gleason drew one of our favorite Action Comics #1000 variants...and now he’s back with a similar piece for Batman. Indeed, this cover mirrors his last one, substituting Batman, his wards and his pooch for Superman, his wife, child and pooch. Add to that Gleason being one of our favorite artists in all of comics, and you get another really memorable piece. You can get it now through Newbury Comics. You can get it now through Kings Comics. 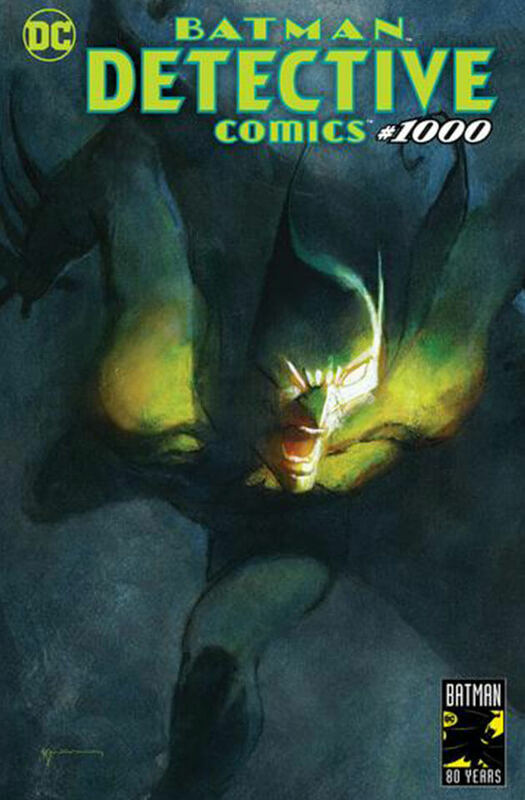 Kaare Andrews has the third (and final) Detective Comics #1000 variant that stands as a callback to a piece done last year for Action Comics #1000. 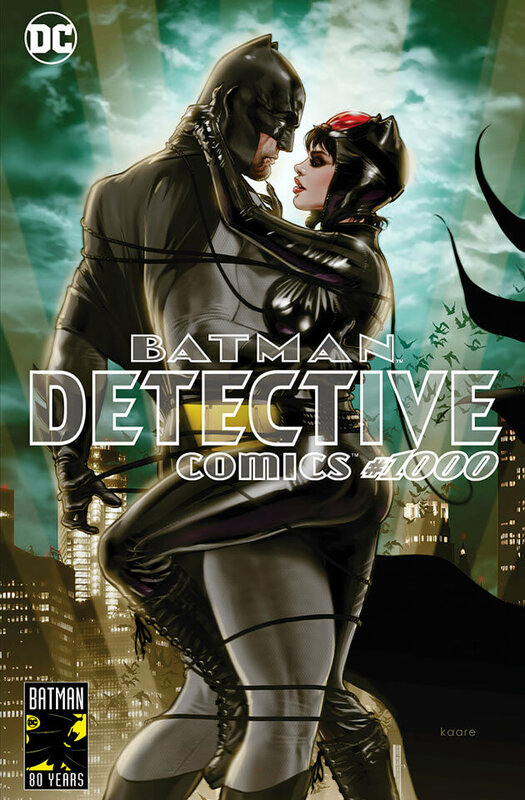 Whereas the Andrews cover last year was Lois and Clark kissing amid the clouds of a sunset sky, this version features a corresponding moment of intimacy between Batman and Catwoman, in all their sado-fatastacistic (sorry) glory. Phew. You can get it now through Third Eye Comics. When it comes to photorealistic renderings of comicbook characters and scenes, no one is better than Alex Ross. No one. 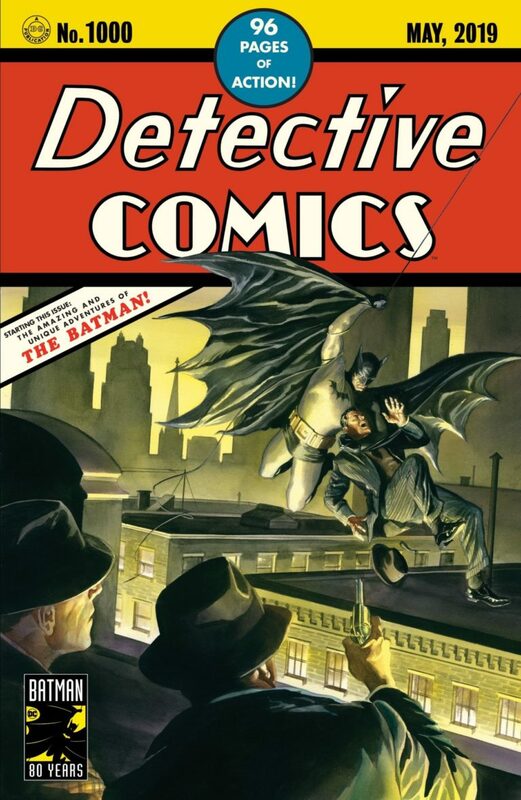 What he’s done for his Detective Comics #1000 variant cover is an homage to the Batman’s first appearance way back in Detective Comics #27. The result is gorgeous. Unfortunately, the cover has sold out via Alex Ross’ website, but you can still signup for a waiting list (not sure how that works) by clicking here. 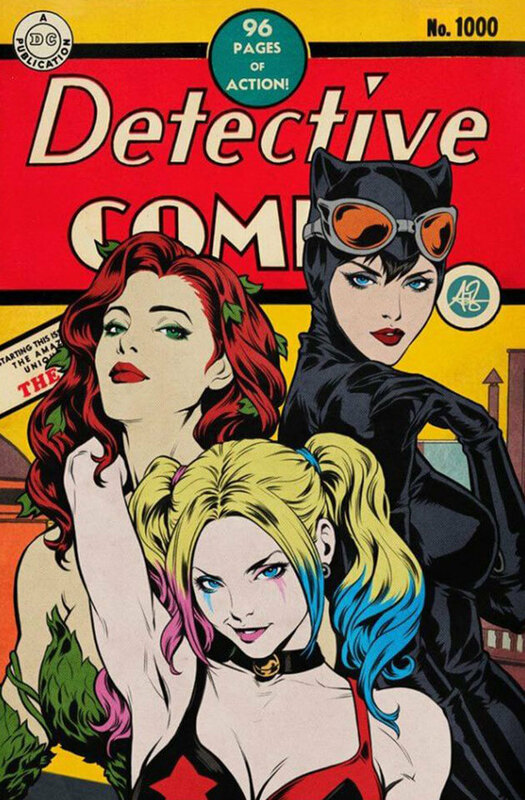 Batman and his passionate fandom just wouldn’t be the same without Catwoman, Poison Ivy, or Harley Quinn. As such, this list isn’t complete without a selection honoring their contributions. We’ve gone with this retro Detective Comics #1000 variant by Artgerm, and just look at how fantastic it is. Like the Alex Ross cover, sadly, this one is also sold out. But you can check out other options (including a different modern rendering of this same concept) on Artgerm’s website by clicking here. Another key facet of Batman’s character has been his outsider status as a frightening creature to the night, a figure of vengeance that appeals to the deeply human suspicion that it sometimes takes harsh actions to defend against those who would harm us (incidentally, this is maybe where I point out that I’m personally more of a Superman guy myself…). Sienkiewicz cover is perhaps the best and purest interpretation of Batman as a scary defender lurking in the night over the shoulders of criminals. You can order it now by clicking here.